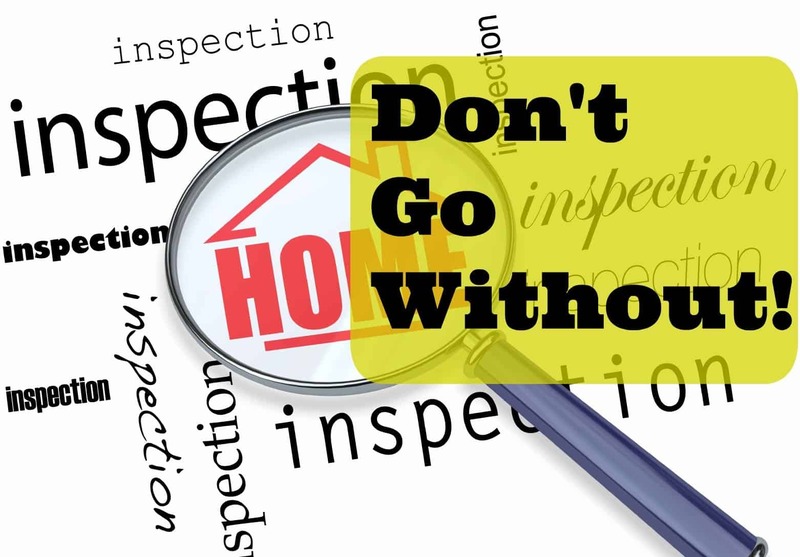 As a Realtor I sometimes get asked “Is waiving a home inspection risky?” and I cannot help to answer with a simple answer… YES! Buyers will sometimes think to make their offer stronger it’s a good idea to waive the inspection. I can say that if you do decide to do that you might be taking on someone else’s problems. Here’s why I suggest against waiving any of your inspections. Usually the issue of waiving a home inspection comes up when the market is hot and properties are moving quickly. In order to get in on these hot properties buyers will often offer more than asking price and even waive their inspections. This simply put is not a good idea and buyers having the ability to do their due diligence should never give up that option until they’re ready to do so. Keep in mind that what looks good to the naked eye can be very deceiving. For instance termites, asbestos and lead paint are all invisible items that can casue thousands to cure. Buying a home can take you on an emotional roller coaster but you need to make decisions based on your future and not on emotions during a real estate transaction. Imagine yourself down the road after you’ve closed on the home of your dreams. Life’s good right??? Then you realize the air conditioning doesn’t work and the fix is $10,000. There’s no guarantees obviously but this may have been prevented with a proper inspection. Take your time when you’re looking for homes and don’t get caught up in the need to make decisions instantly. Slow down, think straight and clearly. Here are some options to help you through the process. In many Residential Purchase Agreements you do have the option to conduct your inspections. The California Real Estate Purchase Agreement is no different and offers a 17 day inspection period that begins the day after the contract is executed by both buyer and seller. This is obviously the best time to do your home inspection so you’re not rushed but if you find yourself in a bidding war with a seller asking you to remove or waive your home inspection then consider this option; for a few hundred dollars ask the seller if you can complete your home inspection prior to signing the contract. If your offer is competitive enough then the seller just might take you up on that option and when the report comes back and you’re satisfied with the results you’ll feel content about waving a home inspection in the contract. Another benefit of completing the inspection beforehand is that you can also move forward with the contract with a waived inspection contingency. This might also help the seller to realize your offer is serious especially since you paid for a home inspection before a contract was actually signed! Sometimes the seller might also have a home inspection done prior to listing the home for sale. This is not very common but it does happen. If you’re being asked to waive your home inspection then ask the seller if they have had a home inspection done on the property. If they have then feel free to ask for it, once you have the report you’ll know better the shape of the home and whether or not it’s in your best interest to move forward. Once thing to be aware of though is that the inspector is only liable to the person who paid for the report so if something was missed you may not have any recourse. In the event the market is hot you might find that sellers won’t even want to deal with the hassle of having a buyer complete an inspection beforehand. After all in that instance it’s likely they have multiple offers and your offer unless something great won’t matter to them if it’s lost anyways. One way to keep your offer in the game is to negotiate out the waived home inspection. For instance, if you’re being asked to waive your home inspection consider countering that request with instead of the standard 17 day inspection offer to restrict the time to 3 days. Realtors with a good vendor team should be able to call an inspector and have your home inspection done in that time. In closing it’s important to reiterate that buying a home can be one of the biggest purchases of your life. Slow down and take it easy, don’t get wrapped up in the drama of a bidding war. A few bad decisions can land you in a world of hurt in the future with payments you cannot afford, missed items from waived inspection, etc. For more information on why Waiving a Home Inspection is Risky please contact us. Additionally, feel free to submit a comment or question below.